“London is open” reads a sign hanging in Oxford Circus underground. Shortly after the Brexit vote on June 23, 2016, London Mayor Sadiq Khan launched the #Londonisopen campaign in a bid to counter the wave of xenophobia that spread over the nation once the referendum vote was determined, while sending a national and international message that – at least for London – diversity, internationalism and difference is what the city prides itself in and thrives on. Two years and a landslide of unexpected turns later, London is Open continues to adorn some lampposts here and here, maybe even a bus stop advertisement slot. 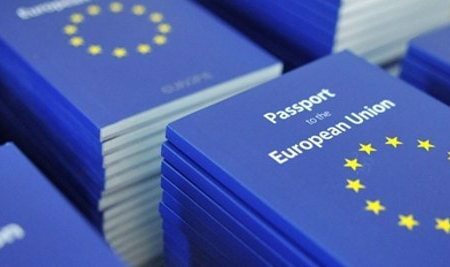 But what does it feel like for Britons and EU citizens amongst the fiasco that this reckless vote has brought forward – and above all, what is the future of EU citizenship? The multinationalism of the EU and in turn the U.K. is an essential component of the calibre of European identity – an identity that has been shaped since the birth of the union and has influenced the character, culture and multitude of what it means to be European today. The free movement of people not only allowed nationals of the union to improve their economic condition if needed, but has carved out generations of individuals who see more of the commonalities between them than differences. Whether May and her army of ministers succeed in receiving approval for the plans laid out in the latest Brexit proposal – one which has so far shaken the interiors of the Conservative party and saw the resignation of several MPs – is still in the air. What is important however is that while the uncertainty of rights for the millions who have chosen to build their lives inside the U.K. and vice versa continues, campaigns that set to fight for multinationalism within the union and assurance of rights for those living abroad are endorsed by the European Commission and citizens of the EU. What Khan set out to achieve with his London is Open campaign might not have had an impact on legislation following the Brexit vote. But what it unarguably did achieve is to unite people despite of this uncertainty and remind them that inclusion – and its rights – start from the ground up.